This entry was posted in Tutorials and tagged bostik, children, craft, door, hanging, kids, pattern, tutorial, wreath. Bookmark the permalink. That’s a really lovely crafty idea! We’ve so many shells kicking around….! No idea what happened with all my spelling there! What a lovey achievable craft for kids to do and remember the summer fun that they had. 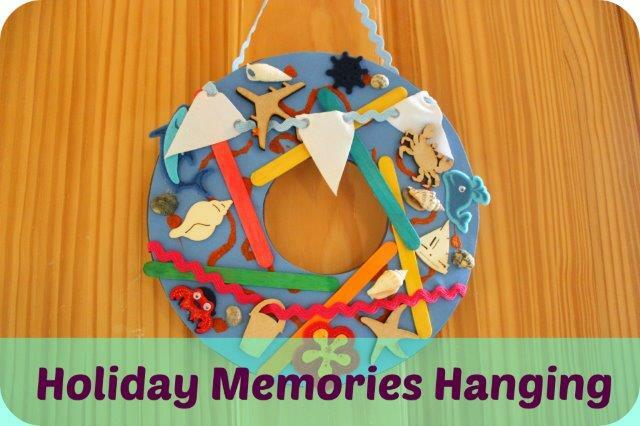 A great way for capturing holiday memories. Our summer holiday is in a week’s time and I can’t wait, the tail-end of the sunshine probably but nice and quiet. That’s the sort of thing that my son would enjoy making – perfect for a rainy day. What a clever idea, and a lovely way to remember a holiday. Aw what a lovely way to keep those memories of a great summer. That’s a lovely idea. I can imagine collecting bits and pieces while on holiday, getting ready to put it all together.